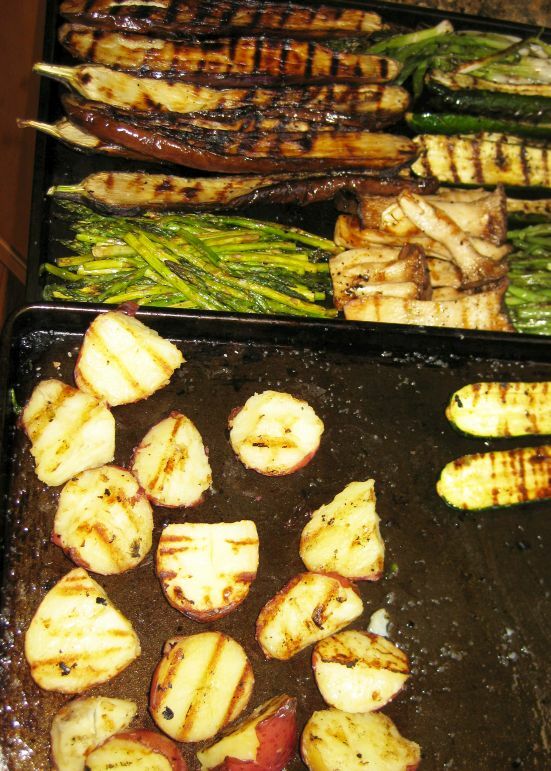 Escalivada means to cook in hot ashes in Catalan. 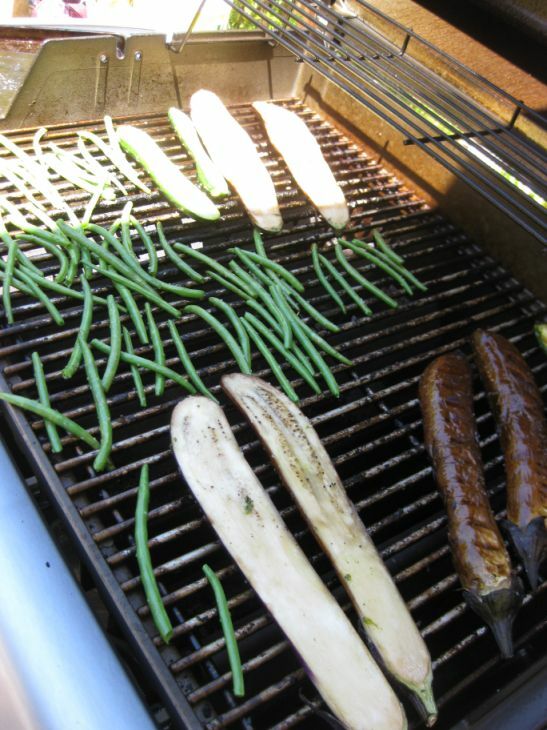 Escalavida is a typical preparation of Catalan cuisine that consists of several types of grilled vegetables, such as eggplants, zucchini, mushrooms, green beans, asparagus, etc.... Once cooked on the grill, those vegetables are peeled and sliced in strips, the seeds removed, and seasoned with olive oil and salt, and sometimes with garlic as well. 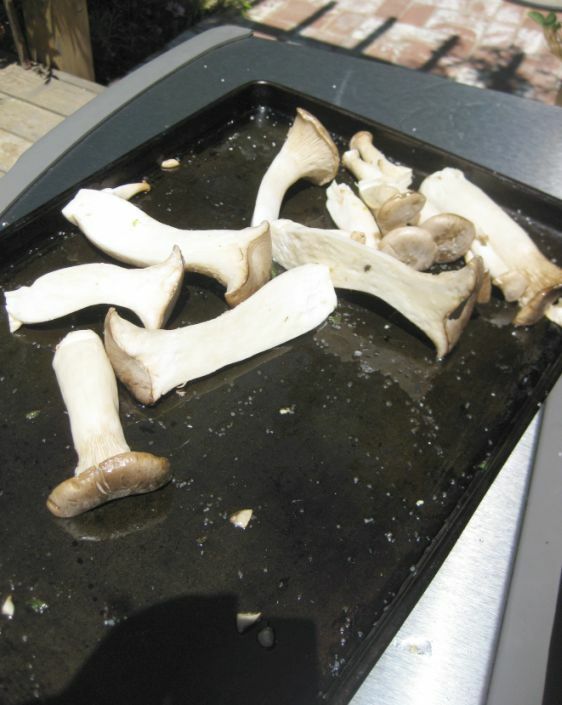 Catalonians eat this dish as a first course or as an accompaniment to meats and it is usually served with gilled meat. 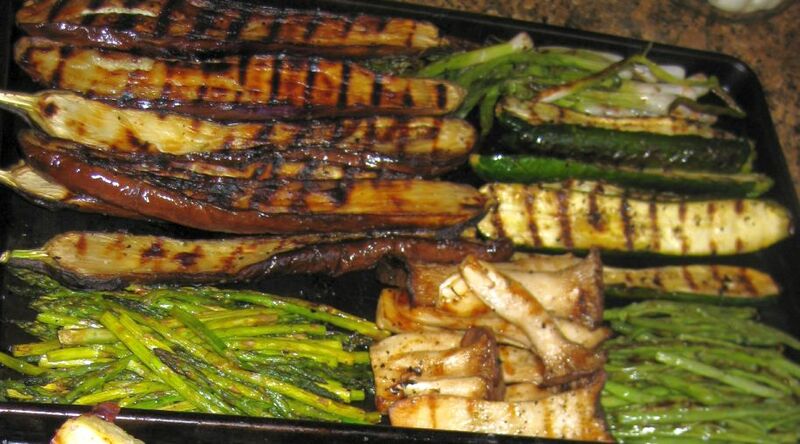 The special characteristic of these roasted vegetables is their smoky flavor. 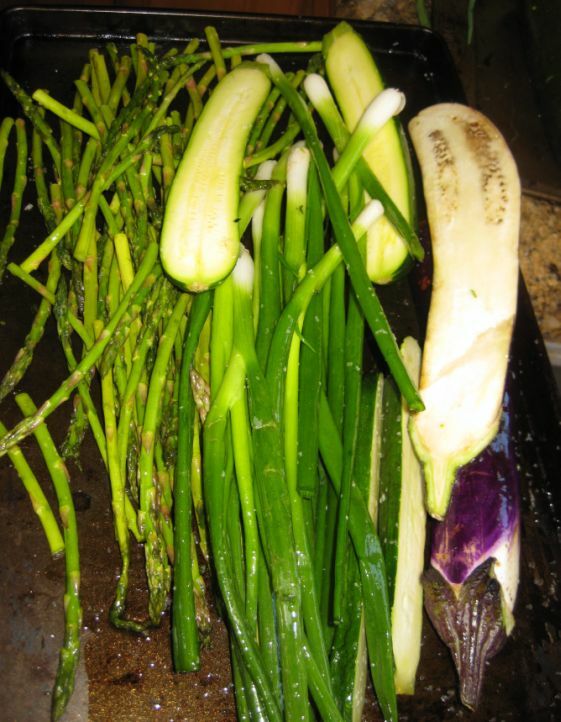 Assorted grilled vegetables makes a wonderful side dish! 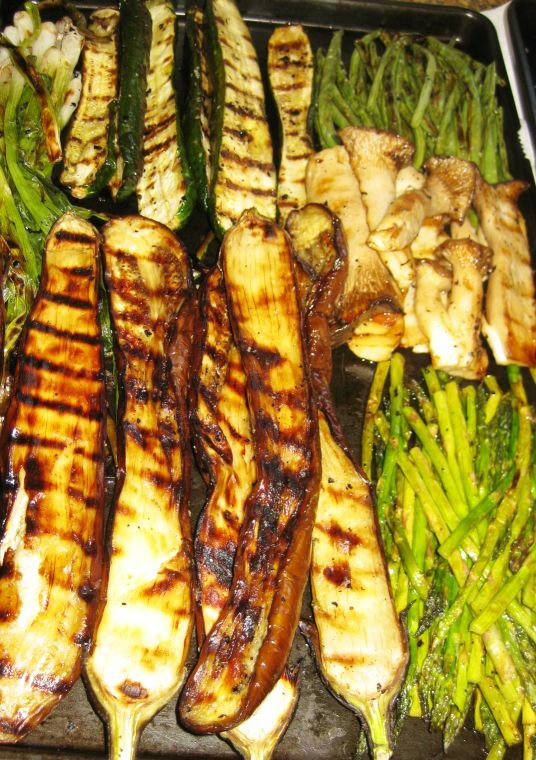 Before grilling put all your vegetables in a large tray and coat them lightly with oil. Sprinkle some salt and pepper and mix them together. 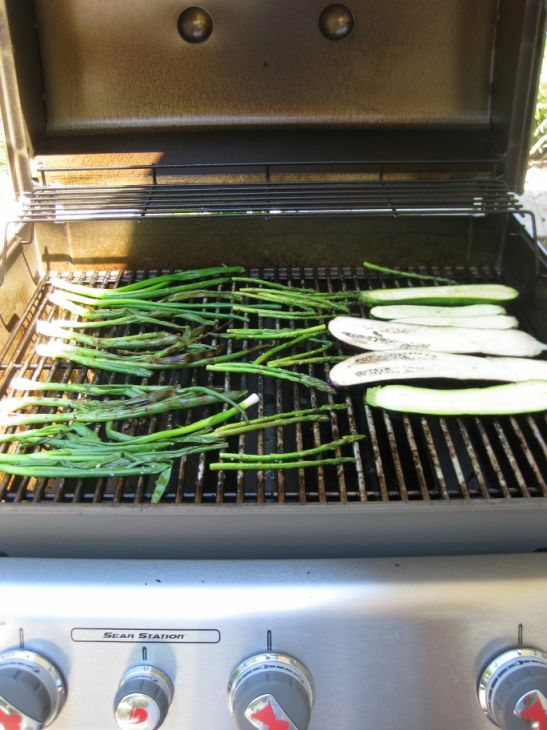 On a hot grill start grilling your vegetables. 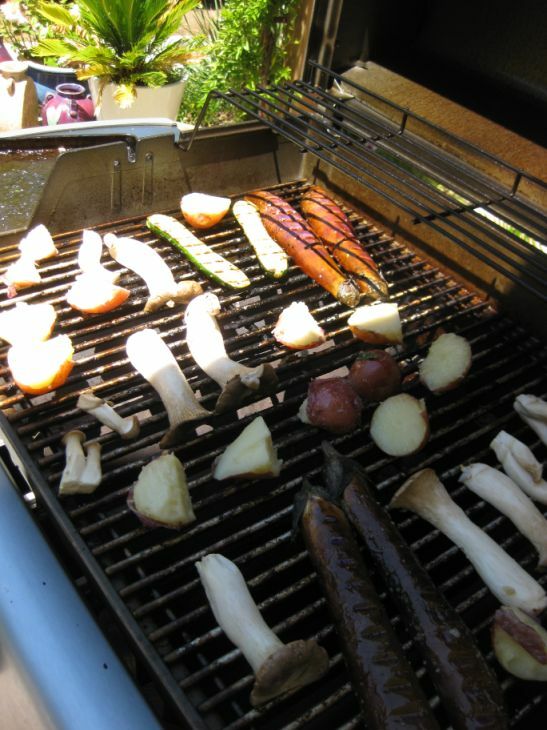 Grill in batches- you do not want to overcrowd your grill. 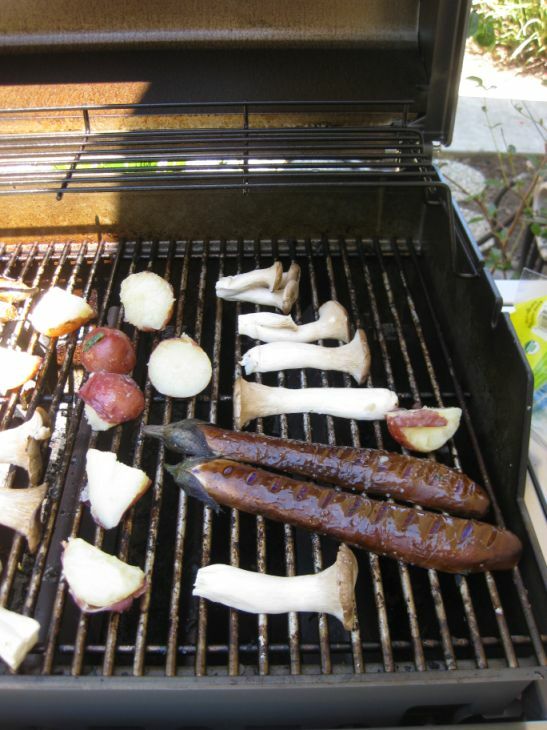 for the potatoes you should boil them first than put them on grill to get a nice smoking flavor.